If you are looking for a large and powerful vehicle that is versatile enough for work and family while being efficient enough to drive on a daily basis, the 2015 Honda Pilot is the clear choice. It is a smarter kind of SUV designed for the real needs of today’s drivers. 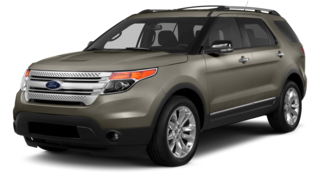 But to illustrate the greatness of this vehicle, we have put together this comparison of the 2015 Honda Pilot and the comparable 2015 Ford Explorer. Decide for yourself which vehicle wins, and then visit Middletown Honda, the Mechanicstown area’s preferred Honda dealership, to take the new Pilot out for a test drive. Explorer – Every Explorer trim except for the Sport comes with a 3.5L V6 that puts out 290 hp and 255 lb-ft of torque through a six-speed automatic transmission. A turbocharged four-cylinder engine is also available that puts out 240 hp and 270 lb-ft of torque. The sport trim comes standard with a turbocharged 3.5L V6 that generates 365 hp and 350 lb-ft of torque. Standard fuel economy tops out at 17 mpg in the city and 24 mpg on the highway. Pilot – The baseline LX trim comes with a trailer hitch, keyless entry, tri-zone automatic climate control, Bluetooth phone and audio connectivity, and an 8-inch display screen. Higher-level trims add features like special wheels, a sunroof, leather upholstery, and a power liftgate. Drivers also have the option of adding voice-activated navigation technology and a rear entertainment system. In short, Middletown drivers who go with the Pilot will have a feature-rich vehicle, regardless of the trim level they choose. Explorer – The baseline trim comes with rear privacy glass, cruise control, a 4.2-inch display screen, and air conditioning. Higher-level trims add a power driver’s seat, leather-trimmed seats, satellite radio, and larger wheels. Drivers have the option to add remote engine start and a tow package. 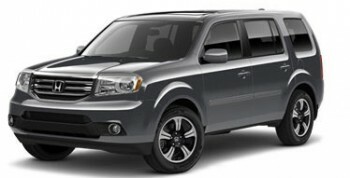 Pilot – The 2015 Honda Pilot offers 87 cubic feet of total cargo space. Thanks to second- and third-row seating that folds flat into the floor and the boxy shape of the vehicle, it’s easy to load, unload, and maximize your usage of the space. The glass in the liftgate also opens independently, allowing you to easily haul longer items. Explorer – The 2015 Ford Explorer offers 80 cubic feet of total cargo space. The vehicle has also been criticized for having second-row seats that make it difficult to install a child safety seat, and for an overall design that makes visibility difficult, especially in tight spaces. The new Explorer is a nice vehicle, but it feels like a case of style over substance — and to get the features and capabilities you really want, you’re going to have to pay a premium price. The 2015 Honda Pilot, by contrast, was built to be a single vehicle that can meet all of your transportation needs, whether you’ll be staying around Mechanicstown or driving big miles every day. 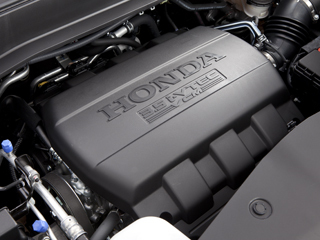 Put it to the test by visiting Middletown Honda at 520 Route 211 E in Middletown, NY. 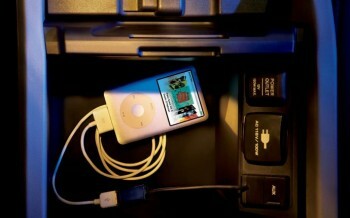 *MSRP excluding tax, license, registration, $830.00 destination charge and options. Dealer prices may vary. **18 city/25 highway/21 combined mpg rating for 2WD models and 17 city/24 highway/20 combined mpg rating for 4WD models. Based on 2015 EPA mileage ratings. Use for comparison purposes only. Your mileage will vary depending on how you drive and maintain your vehicle.